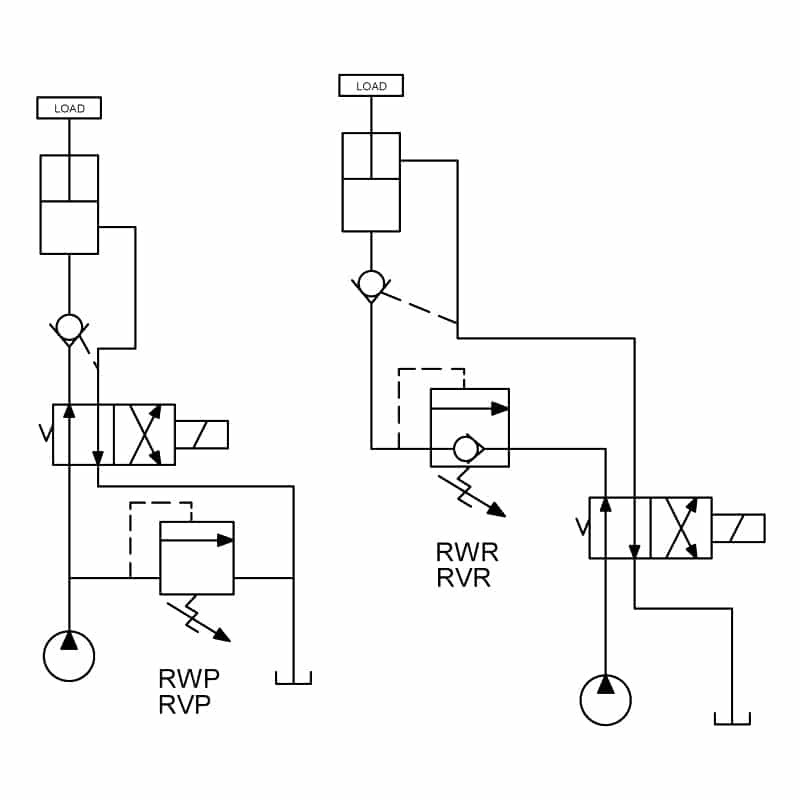 Typical application for the RVP and RWP valves is to protect pump or system. 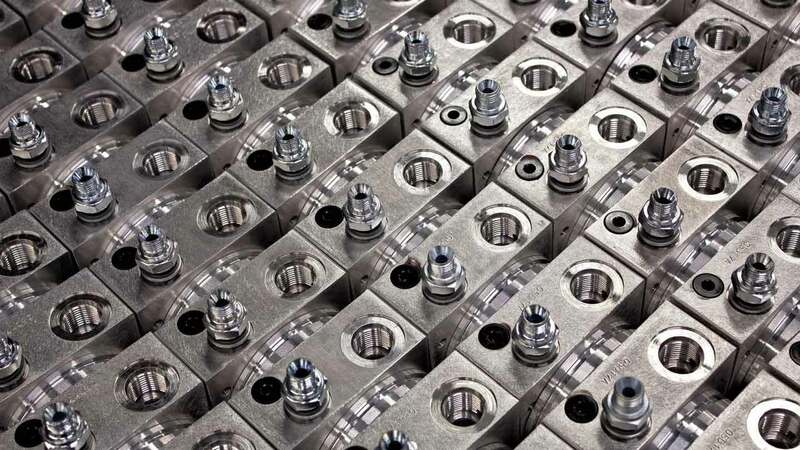 Typical application for the RWR and RVR valves is to be used as counterbalance in a system where positive hydraulic locking is not required. In this schematic positive locking is done by using a P. O. check valve.